Hi! I’m Ollie! 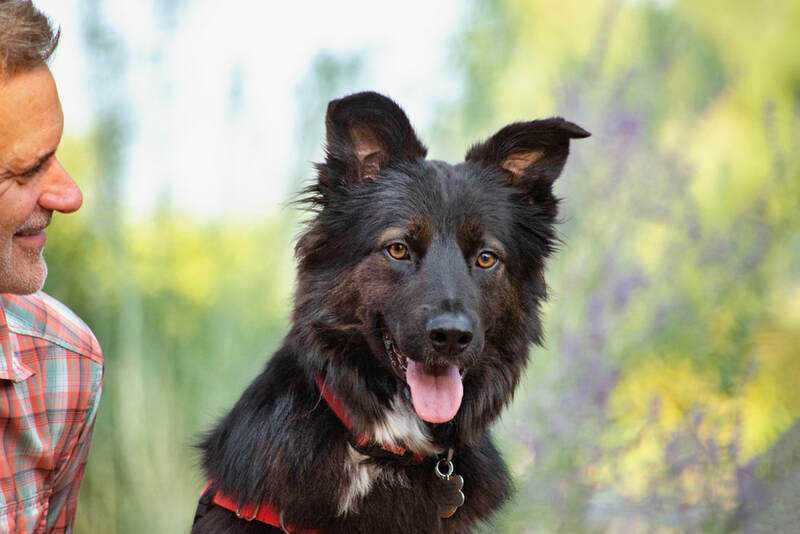 I’m a 3-year-old Border Collie/Retriever mix, and I weigh 55 pounds. I’m gentle and sweet in my home and probably the best cuddler around. I’d love a home where I get to spend a lot of time with my people and other dog friends --- I have a lot of love to share. My foster dad works from home, and I love to be near him while he works during the day. I have silky black fur and a gorgeous tail that looks like a feather plume. I have natural golden brown highlights that I don’t pay for! I love long walks and hikes and am looking for someone who will take me on adventures. I do get nervous on leash when I meet other dogs who are also on the trails, so I would prefer to walk, hike and adventure without a lot of other dogs around. So walks in a busy urban or suburban area wouldn’t be ideal for me. I live with three other dogs in my foster home, so I love playing with dogs. I even have fun at doggie daycare! I just need some work on meeting new dogs when I’m on a leash. Oh, did I mention that I’m also an excellent swimmer? I love being in water! I will jump in and splash around in the reservoir near my foster home. I haven’t met any cats yet, so I’m not sure if I like them or not. I'm housetrained, neutered, and up to date on all my doggie shots. My ideal home is loving and calm, where I can cuddle, walk/hike and swim--and the BEST home would have another dog. I like two daily walks (or more! ), playtime with my dog friends, and cuddling. My foster dad says I am super cute following my furry foster sisters around. Check out my pics below with my foster pals!